This week we will begin our bat unit. Bats are common in our area. They help control our mosquito population. Bats are such a fascinating animal to teach about. I have all of our bats interactive notebook pages ready to go! I try to dedicate 1-2 days per week to work in our interactive notebooks. My kids love it! I am trying to add different types of interactive notebook pages with each unit I teach. Here are some of the items you will find in the Bats interactive notebook pack. 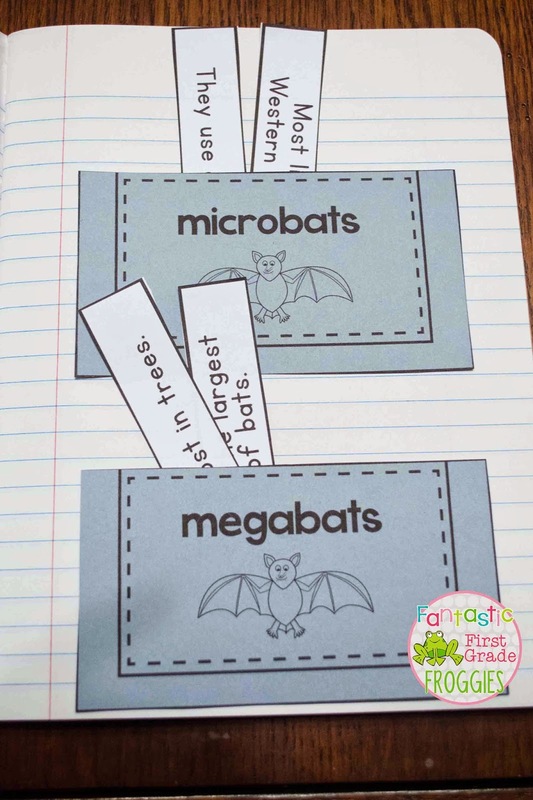 There are some many great vocabulary words to expose your little ones to when you are teaching about bats. I always emphasize that we are scientists and we need to learn college words. They eat that up! Sorts are a fun way to make your books interactive. It can also be used as an assessment tool. You can watch your students sort and see if they understand the task. There are also venn diagram comparisons (bats/birds and bats/owls) and an anatomy page. I am so excited to go batty! If you are interested in the Bats interactive notebook pack, click below.